Denamarin® dog vitamins work by creating a significant uptick in levels of glutathione, a powerful antioxidant that is essential for the liver’s functioning. Your pet’s liver is then free to protect its body against free radicals and other toxins. Combined, all of this supports healthy digestion and nutrient-absorption. 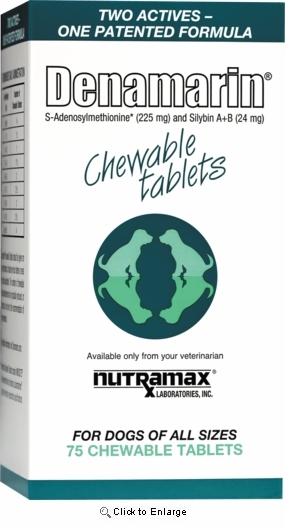 All Vet Supply offers Denamarin® in the form of breakable, chewable tablets. With these you can easily deliver a dose proportional to your dog’s size and weight. Amounts vary between ¼ of a tablet for dogs weighing 6 pounds to 4 tablets for dogs weighing over 105 pounds. The dosing chart is printed on each bottle for your convenience. 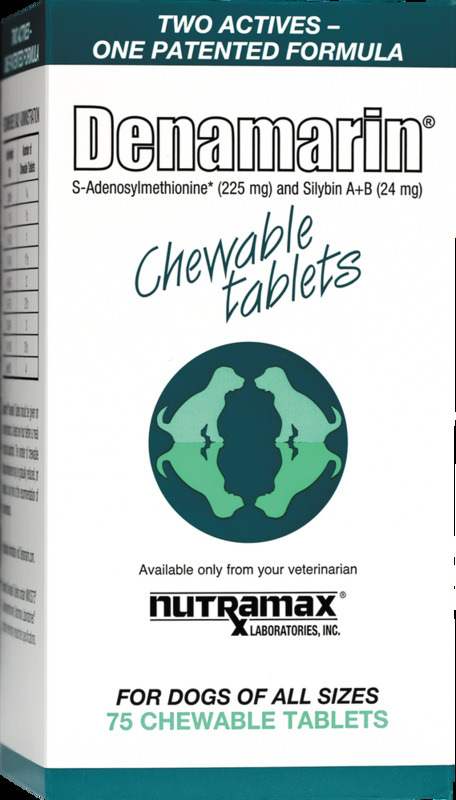 When you get Denamarin® Chewable Tabs from All Vet Supply, you’re getting the best and most convenient nutritional liver supplement at a bargain price. Bottle contains 75 chew tabs.